Rudi started as an intern, but thanks to his dedication, gentle demeanor, passion for cars, and the fact that he had a VW T3 Transporter, which came in handy when we had to carry stuff for our various events, he is now a full-time member of the team. When he is not studying engineering management, he is fiddling around with air-cooled VW's. Having problems transporting your lowered car? Interview with Mike Brewer and Edd China, from the Wheeler dealers TV show. How come Wheeler Dealers has become such a successful show? 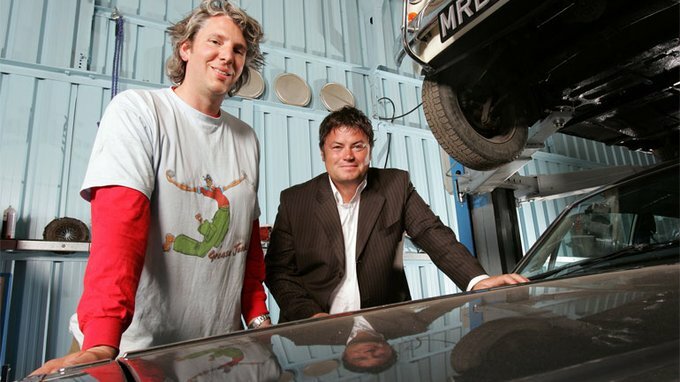 Mike Brewer: I think Wheeler Dealers' success comes from the fact that it's a real, honest, genuine car programme. The love of cars for me and Edd is absolutely real. We love to buy cars, we love to restore cars, and we love to sell them on and we love the process in between. What we do like is breathing life back into old cars and making sure that they live on again because both me and Edd feel that older cars have much more character than the more modern cars. And that's why we want to keep them on the road and make sure that they survive. And I think that the success of the show comes from our enthusiasm. Whether it's me when I'm buying a car or selling it or whether it's Edd on the spanners, we are just enthusiastic about what we do. Edd China: I think also one of the reasons it started – and we started a long time ago, over 10 years ago now. And at the time nobody really knew quite where it was going to go. But because of, I guess, also the information that we get to impart – so we'll see part of my job is to try and fix the cars up that Mike's brought over – but of course as part of that process we explain what's going on, we explain little top tips about bits and pieces and try and find interesting ways to cover the same information. If you think we've just almost, well in the next series, we'll be doing almost 100 cars, that's 400 jobs we've had to have done over the last few years. And each one of those we've tried to make a bit different to the last one. So even if it's both about brakes, they'll both be different aspects we're covering. I think it's that kind of depth of information as well that makes it informative and therefore also interesting. 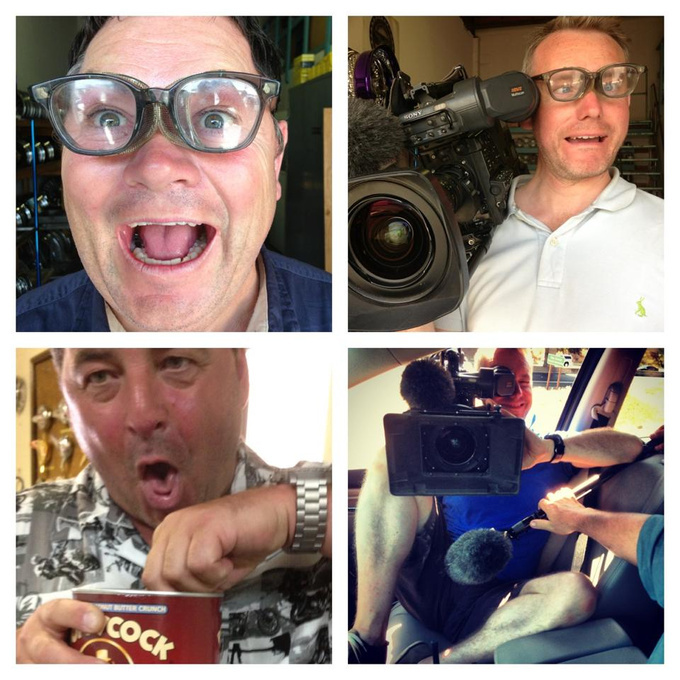 Mike Brewer: And also let's not forget the fact it's got me and Edd in it. Mike Brewer: That's what makes it so popular. What makes you single out a car for your show? Is it better if a car is more damaged? Mike Brewer: Well, listen, the truth is if the car doesn't have a problem both me and Edd don't have a show. It would be a very bad programme for me to turn up with a car that's completely restored and finished because the show will be over in the first 10 minutes so we always need to go and buy a car that's got a problem and in some way is in need of our help and rescue. What we are looking for in a car, first and foremost, is both me and Edd we spend an awful lot of time together dreaming about cars and dreaming about what makes cars special and talking about cars. And when we're together we're always going, ooh, we should do one of these, and, why haven't we done one of those? And the cars that we tend to choose are iconic cars that have a character. We tend to choose cars that will be emotive. They have to tug at the heartstrings. They're not cars that are run by computer, they are cars that are run by wire and that's what makes us happy. Edd China: I think it's about that whole, exactly as Mike says, it's about our passion. So it's about a car that we find interesting. So when you're in the pub talking about what car you want to buy next that's the kind of conversations that we're having about the cars we're going to do on the show. So we've done all kinds of things that are our dream cars and obviously this series is very much a part of that with the XR2 and the AMCI car. These are cars that we grew up with, with the idea of as kids and obviously finally we get to play with them. And, actually, I'm very lucky – well, both of us are, I guess – that we actually don't have to have a massive car collection because we do through the show. So we get to play with the car, have a bit of fun, and learn a bit about it and then, obviously, move on to the next one before we even think about missing it – you know? You've mentioned that character of the cars you are choosing for your show – and I checked the list of your old cars you have found and then improved then sold – and it seems slightly that you give special attention to Porsche, don't you? Mike Brewer: Yes, Porsche is very much a car that we love to venture into on Wheeler Dealers. In fact, on this new series, one of our dream cars to do the series is the 993Targa, that's the last of the air-cooled Porsche911s. Edd is famous for actually being a real expert when it comes to the air-cooled engine and that's really where the love of Porsche comes from. I love their styling and their power, Edd loves their engineering. They're a very clever car. In a sense they shouldn't work. You know, to put a quarter of a ton engine or a 250kilo engine over the rear axle of a car it shouldn't fundamentally work but somehow they do. They're fantastic to be around, amazing to drive, and that's why we've done so many Porsches and that's where our love comes from. Edd China: Exactly. I was just going to say that when you actually look at the numbers probably it is actually possibly more evenly spread, but I think it's one of those things that the marks just pop up and then become really, really popular. And it's also driven by the fact that the fans love them as well. Are the numbers in Wheeler Dealers real? I mean, do you really find buyers who paid such money? Come on, you guys have sold the Syrena105L for £8,000. Are you a magician or what please? Mike Brewer: Yes, you know, with every car we venture into we work backwards – always. We work backwards from the sell price of the car. So I always look to what we could sell the car for first before I go and buy the car and we do the mechanics in the interim. So, yes, the Syrena we sold for £8,000 because in Poland that car may only be worth a couple of thousand euros and be laughed at but in the UK where we have a large Polish community it's a very, very popular car in the UK. It's very rare but it's a very popular car in Poland so therefore in the UK it's got an intrinsic value. And the value was because of its rarity and because of how unusual the car was, it has that value attached to it. 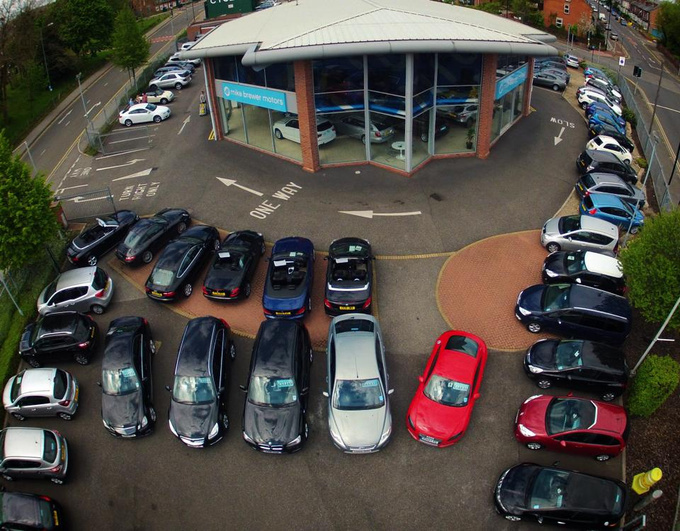 And every single person who comes and buys a car from us is absolutely genuine. And every car we buy from people is absolutely genuine. And why not, you know? That Syrena had a complete nut and bolt restoration done amazingly by Edd and we even got a nod of approval from your very own Polish Ambassador. 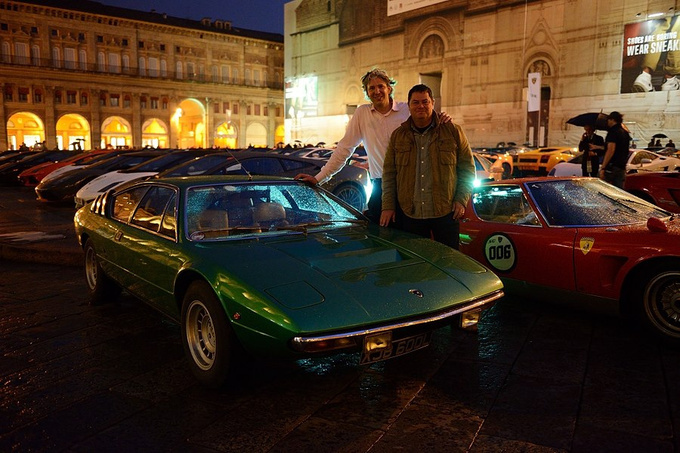 Edd China: Indeed, yes, a very nice man, by the way – Witold. Mike, do you like cooperating with Edd and tell me is he the best mechanic you have ever known? Mike Brewer: Absolutely. We have a very long relationship, it goes back 11 years our relationship. And we've never argued over those 11 years. We've always gotten on incredibly well. I'm laughing. We've never argued over the 11 years. I think Edd would be laughing as well. We get on incredibly well. He's like a brother, it's a love. We're both from different walks of life – both me and Edd are from different walks of life. We both want different things out of life but what brings us together is the passion for the programme and for the cars. And he genuinely is the cleverest, not only mechanic, but the cleverest man in certain aspects that I know. Edd China: That's very good of him to say. I'm sure I would have to dispute that fact but there we go. Edd, how about you? How does this cooperation look from your point of view? And tell me, just between us, can Mike seek the cars? Edd China: Well, actually, Mike is getting to be quite a dab hand. Obviously, you've seen in probably the more recent series that he actually gets his hands dirty. I think a lot of people, a lot of the audience, are a little unfair and say that I do all the hard work and Mike doesn't do anything but actually it takes a lot of skill to find the right car in the first place. It's all about that. If we don't get the right car at the beginning it's an absolute disaster. And, of course, yes, there's loads of work to be done but that's part of the game. And in fact it's really, as he was saying earlier about the Syrena, if he hadn't bought the right car and taken it to the right market, yes, sure, there wouldn't have been any profit in there and we would have spent an awful lot of money on nothing. But actually it's about understanding the different markets in different parts of the world and then also understanding about buying in the right car. But obviously now I don't mind at all, we're happy to do a bit more work. But on the current series you're about to see, he's done all kinds of little bits and pieces so he's actually mucking in a lot more than he used to which is great. Edd, why did you decide to buy that Volkswagen Transporter from the third season, a car that generated the biggest loss in Wheeler Dealers ? Edd China: Well, it's one of those things that I guess is part of the whole Volkswagen thing and it's a little bit of fun. As it happened in the end we had a bit of fun with it over the summer and then the cameraman who was on the show, he absolutely had to own that car. He loved it because obviously he'd been looking at it, of course, for a number of weeks through the lens. And so in the end once I'd had my fun – you know, going down to the beach and stuff – obviously I felt guilty about hogging all the fun to myself so ended up selling it back to him. So it's one of those things. To be honest, if we had the opportunity, we'd probably buy almost all of the cars off the show. Mike and I would have a massive garage somewhere in a big field, you know, with all these cars going nowhere because I think that's the whole point. We want to see, we want to play with these cars, we want to drive these cars and there are so many that we could list that we would love to have kept hold of. Do you know Robert Kubica? What kind of car would you repair and sell him? What, in your opinion, would be the perfect car for this kind of Polish car driver – racing driver? Mike Brewer: Ah, Robert Kubica, the BMW Formula 1 driver and Renault rally car? I would buy a car for Robert Kubica that went around corners that didn't crash into trees and ruin his...I think the safest mode of transport for Robert Kubica would be a train because that will go around corners without falling off unless he's the driver. What was the most challenging car you've had to repair and sell? Mike Brewer: Over the years – I think Edd would be better answering this to me – but over the years we've done some very challenging cars. But undoubtedly one of the most challenging was the Bentley Turbo that we did because the Bentley is a very complicated car with lots of complicated components that are over-engineered. And it was a big job because we did a colour change. So I would imagine – and I'm speaking on behalf of Edd here – but that was a very difficult car to do. Edd China: Absolutely. I think I probably would agree with Mike. I think what was interesting is, I guess, that was the hardest we'd done at that time. Strangely, since then we seem to have done the cars that are equally as hard but I guess you always forget your first time with a really, really hard one. And we've done, obviously, things like the Cobra and the Morgan since then where we've actually changed the chassis or we've taken the bodies apart. You know, we've done that almost with every single car nowadays. They often seem to end up being a full restoration rather than just fixing a few jobs. So, as Mike says, I think the Bentley was probably the milestone. That was the bit where we really noticed, wow, that was a huge amount of work. And I think going forward, though, it seems almost every car now is a fair chunk of work. What is the top three countries that produce the best cars in your opinion? Mike Brewer: That's a good one, yes. Edd China: I think Germany would probably have to be up there, wouldn't it, just because of the quality, obviously. We talked earlier on to a journalist about Porsches and the fact we've done quite a few of them. And I think it's something to do with the effort and the money that goes into making those cars in the first place, I think. So, Mike, what would you think was the next two? Mike Brewer: Yes, I would say most definitely Germany and that's, I think, for the engineering. But for passion I would have to say Italy. Mike Brewer: And that's purely for a passionate reason. Their cars may not be the best mechanically but they're certainly the best to look at. And thirdly – I don't know if Edd would disagree with me, but I'd probably say the UK because we do make Bentley, we make Rolls-Royce, we make Aston Martin, we make Mini, we make a lot of cars for the rest of world including the NissanMicra and the Honda Civic. We make lots of very good cars here in the UK. Edd China: Yes, that's true, yes. Mike, it's a very interesting story of how you became a television star. Can you tell us a little bit more about that? Mike Brewer: I can, yes. I was actually just working as a car salesman in a garage many years ago and my friend left his table to go to the restroom, to the toilet. And when he was gone his phone rang and I answered it and it was a television channel called Channel4, and they asked me if I would like to take part in one of their television programmes. Initially I said no, I kept saying no, until eventually the young lady on the phone was very persistent and she came down to see me at the car showroom. She videoed me talking about a car and they made a show called Deals on Wheels with me presenting. That became a huge success for Channel4 and I've never not worked on television since. That was over 16 years ago and I've been working on television every week since that day. And it could have been my friend. If my friend didn't go to the toilet he would have picked up the phone, so it could have been him. We've never spoken since. He hates me. How much would an average car be if you would add Edd's labour cost? Mike Brewer: That's a very good question and it's the most asked question that we have had over the last 11 years of Wheeler Dealers– is about the labour cost. Edd China: If possible. If you can be bothered with the transport costs you could bring your car all the way over to Brighton, yes. Mike Brewer: You can get your car serviced with Edd. We know you have been doing this series for years now. If you compare your first series and now, has there been a change in people's interest towards classic cars? Mike Brewer: Absolutely, yes. We noticed when we first started making this show the classic car world was quite a small world, actually. And although now both me and Edd are more involved in the classic car world personally as the years go by we get invited to more things, we get involved in more things, and we venture into more cars so that leads us into talking to more people about classic cars, we've noticed just how big the classic car market is. But in 2008 the classic car world has completely turned around on its head and people invested in classic cars heavily instead of investing in banks. And from when we started to now the classic car world is worth billions and billions and billions of euros to the European market and to the rest of the world where it wasn't when we first began. And I attribute that, not to the banks, but I think it's due to me and Edd. When you're planning a season or an episode, how do you decide what car to look for to buy? Is it the ease of the end sale or is there some insider industry knowledge going on there? Mike Brewer: It is lots of beer and lots of arguments. Edd China: Yes, exactly. I think it's one of those things we've touched upon it before, really. It's all about the passion. If we're not interested in the car then we're never really ever going to make it. We might have different opinions about a car and so obviously that makes it more interesting. But I think there's always going to be somebody out there who is interested in a particular car but it's a case of we need to be excited about it otherwise it's never really going to get much chance to get to the screen. 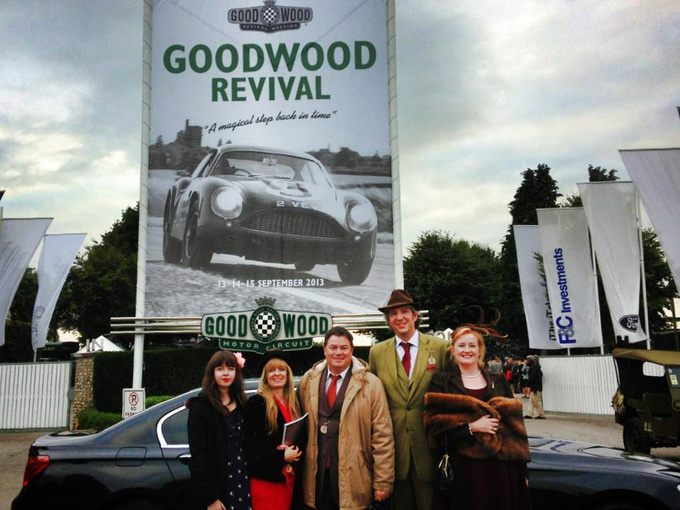 Mike Brewer: So we decide on the cars by sitting... You have to imagine mine and Edd's lives. We spend an awful lot of time together – sitting in cars, sitting in the studio, sitting in the workshop – talking. So during that time when we're not talking about the TV programme or what we're currently doing, we're generally talking about what cars we want to do and that's where we start to build the list of cars. Edd China: And for that matter, actually, the other thing is of course all the fans that we meet in the street and stuff of course they're always telling us what car we should do so we've got a pretty good idea as well of what the fans would like. What do you think about the car owners who sell you all these cars that are barely alive? Mike Brewer: Do you know what? Truthfully, I get a little bit angry with people that they can own such a car that I'm excited about and I know that Edd will be excited about and they could let it get into such a sorry state. Because as a genuine car enthusiast and classic car owner myself, it's not that hard to look after a car. It's not that hard to throw a cloth over a car or a blanket. It's not that hard to put a car in a garage and make sure it's covered for the winter. It's not that hard to change your oil and to service a car and to maintain it regularly. And that makes me angry. When I go and see people's cars they've just trashed, used and abused, I think that's just a crime. One of the cars that is coming up in this series of Wheeler Dealers, in fact Programme 2, it's the Porsche911 or the 993. It's an iconic car. It's one of the best point-to-point cars ever produced in the world. It's the last of the air-cooled 993 Targas. It's an amazing Porsche. And yet the guy who owned the car previously completely and utterly abused it. He had no respect for it whatsoever. It was as likely to park the car in the sea and just let the sea wash over the car. It was in a disgusting, terrible state. And it took Edd whole heaps of work and a lot of time to rescue that car and to pull it back. And that makes me upset when cars get into that state. Edd China: But it has to be said they do see sense in the end because they sell them to us. Mike Brewer: Yes, very true. We do make a profit out of them so keep doing it. Last season finished with a record profit of £42,000 – yes? Do you have a personal share, maybe – a personal interest? And maybe you have a personal interest and maybe a share? Mike Brewer: Yes, that was from the Corvette. Yes, the largest profit we've ever made on a car was the Chevrolet Corvette. Edd China: And then do we get a share from the sale? Mike Brewer: Yes, we do... Well, in the programme people often ask where our money comes from because people often say how do we pay Edd's labour but nobody ever questions how I live, who pays my labour? But in the programme you are meant to believe that both me and Edd, when we sell the cars, we keep the profit and we just use that profit again to go and buy more cars. And that's basically how it works. Edd China: It's quite interesting, thinking about one of the questions earlier about the change in the classic car world. Obviously when we first started we were doing the cars for £1,000 and obviously then my labour really was going to be a problem. But actually if we started working on only things like Corvettes I think we'd actually do quite well as a business. Mike Brewer: Yes. I mean genuinely we do think about it all the time, me and Edd. We do realise, we are on top of this shift in market of classic cars and we do realise that there's money to be made – genuine, real money to be made – out of moving cars from one place in the world to another place in the world. Because of the low standard in Serbia, people are used to buying used cars here. What is your number one piece of advice for someone buying a used car? Mike Brewer: Yes. I'll lead this. It's very simple. This one piece of advice is a very simple piece of advice. If you don't have EddChina in your garage to look at the car for you, you must, must get a mechanical inspection on the vehicle. It's like going to buy a television without switching it on to see if it works. You need to make sure that whatever you're buying is mechanically tested and it is safe for both you and your family before you buy it. And all across Europe most motoring organisations such as the RAC, the AA, Green Flag, Drive Assist, Drive Assured, they all have a service where for the price of a full tank of fuel they will come out with one of their experts and they will do a full mechanical inspection. It's the same as having EddChina come out and check the car for you. And that way you know that you're buying peace of mind and a safe car. In general how long does it take to repair a car? What was the longest time you spent repairing a car? Edd China: I think it takes on average probably, theoretically, about two weeks. But obviously that doesn't take into account the painting process. For example, we did a Cadillac a while back and that probably took a couple of months, I would imagine, in paint. And it's the same with the FordPop as well that we did on a previous series. That also took a very long time just because there was so much bodywork and so much process involved in getting it done. So even though we only have a couple of weeks in the studio, obviously the cars do take a longer time if we send those cars out for different processes. I think the longest – and I'm just trying to think back – certainly I remember the beach buggy we did probably in about the fourth series, or even the second series actually maybe, it was a long, long time ago – and that I remember working on for at least four or five weeks on my own, you know, for hours and hours and hours and hours. But thankfully now we have a couple of mechanics, Paul and Phil, who help out behind the scenes on stuff that we're not going to do that you're going to see on camera. So we do obviously have a beginning of a growing team of people to help out just to make sure we can make enough shows for you guys to watch. Obviously it's not just the years that turn a car into a classic one. Can you tell us what the main factors are for a car to be considered as classic? Mike Brewer: Okay. It's a very good question. A classic car – when does it become a classic car? In my opinion, a classic car becomes a classic when it stops becoming a burden on the State so you don't have to keep paying your tax to drive the car on the road, and it starts becoming a burden for the owner. So the owner then has to really start thinking about repainting the car, restoring it, looking after it. So, effectively, about 25 years a car starts to become a burden on the owner rather than the burden on the State and it starts to become a classic. However it is true that there are more modern cars that are considered classics. You know, anyone would say an AstonMartin from the last 10 years could be considered a classic. Almost undoubtedly the MazdaMX-5 is already a modern classic. The new Mini and the Fiat500, lots of people would consider those cars a modern classic. So the interpretation is wide open, it's just how you pigeonhole it. For me I think when a car starts to become a burden for the owner is when it becomes a classic. Edd China: For me I think it's much more of an emotive thing. It's all about people's irrational behaviour towards a car. So when somebody starts projecting some kind of personality on a car or an affection to something which is basically an inanimate object then that's when I think you can say that the car's a classic. And it doesn't matter whether there's only one person in the world who likes it or 1,000 million, whatever. It's all down to the fact that they would give up something else just to have a go or a chance to drive this car or who just want to own it. So it's to do with this weird connection with it, a human being to an inanimate thing. Have you guys ever been working on a project or a car, got halfway and just realised that this is a complete money pick and it's going to be too much work for what it's worth and had to abandon the project? 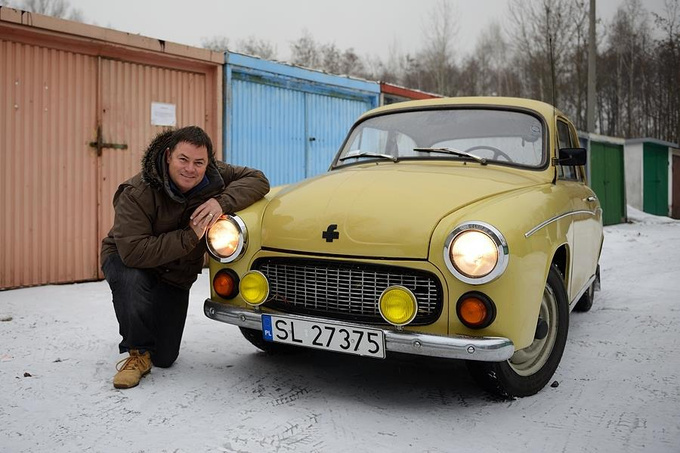 Mike Brewer: We never abandon the car on Wheeler Dealers. As I said earlier, we always work backwards, so we always think of the sale price, the amount of work that is going to be involved and what the car will be in the first place and how I buy it for us to make the show. We never abandon the car but it's fair to say that out of the 100-odd cars that we've done on Wheeler Dealers there has been a few that have been really, really challenging and we've got to a point where we've thought this is ridiculous, you know, we are having to change an awful lot of the car to turn it around. But if you put the work in and you do it right there's always going to be somebody at the end of the day that's going to buy it and we always follow that process. We just keep pushing through, keep doing the best thing for the car and the right thing for the car. And ultimately you will find the right buyer for it. If you've put the work in somebody else out there will want it. Edd China: I think probably the most obvious example was the Suzuki we did a long, long time ago – this jeep. And when we were doing that car the more work we did on it the more rot, if you like, or rust that we found with it. And so probably about halfway through we worked out that it was pretty clear it was never really likely to make it back on the road. And we tried very hard to do as much work as we could but we just couldn't get on top of it in the end. But then what we did is change the buyer, if you like. So rather than trying to sell it as a car for the road we sold it to a farmer who used it on his field and therefore it didn't have to go through the road test to make it legal on the road. And he's been using it. Even as we speak he's still pushing things around his farm with the Suzuki. So that's the way, again as Mike was saying, you just do the best thing for the car at the time and hopefully you'll end up finding the right buyer. Have you ever worked with a car produced in the Soviet Union? Edd China: I haven't really yet. I think the closest, the Tatra, a friend of mine had one of the big almost like a limousine and it's something that we really would love to do on the show sometime in the future, I think, is actually to start playing with a Russian vehicle. It would be a lot of fun. Mike Brewer: Yes. I want to do a ZiL, so I'm looking forward to... It's already on the list of cars to do but I'd like to do one of those real Gorbachev ZiLs. That's what I'm looking forward to. We're definitely going to be doing one and I'll be coming to Russia to buy it. As you might know, as you heard, some say that this car hassle and that car hasn't. So what is the difference between them? Edd China: Well yes, I think it's, again it comes down to passion. It comes down to an emotional connection to a car. So sometimes you might... Like we've got a classic example. We have a terrible car in the UK called an Allegro. And nobody likes it. It was not successful at all. It had a square steering wheel. That's about the only thing that it had going for it from a fame point of view. And everybody liked it so little that there are no longer very many left at all in the country, there's probably – I don't know – maybe five or 10 or something. But now suddenly because there are so few left it has a certain value. But then, what's interesting is you actually look at it and maybe you feel a bit sorry for it. And that might be enough to actually make it a car that you might start getting passionate about. So there are many people who enjoy looking after what looks like a forlorn puppy of a car. It's a car that nobody else really likes and so you feel sorry for it. But in the same way it might be a car you get into and you're driving around and you just love the exhilaration that it gives you, the sound of the engine, the wind in your hair – all that kind of stuff. And it's those almost intangible emotions that I think make that connection with a car and give it that kudos that some others don't have. Like your standard Euro boxes you'd say; there's nothing endearing about it, there's nothing exciting or interesting, it's just a means of transport. The cars we deal with are definitely not that, they're cars that you can get excited about. Mike Brewer: Yes, cars can have an ugly beauty. Cars like the CitroënDS some people consider that car to be an ugly car. I think it's one of the most beautiful cars ever made. The AMC Pacer in America – an ugly car but funny enough it's beautiful as well because it's so ugly. So, yes, that's what we like about cars, they've got this amazing character – all of them have. What does your cooperation between each other look like? 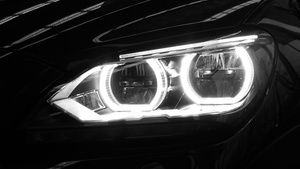 Do you always agree on the diagnosis of a purchased car and on the strategy which you will implement to repair it? Edd China: No. But that's part of the fun. Mike Brewer: Quite simply, that is a very simple no. No, we don't always agree but we always try to agree. Just recently on the new series you're going to see a Ford Fiesta XR2 and that is a dream car for me to want to put into the series. And it wasn't one of Edd's favourites. It never would be one of Edd's favourites. It didn't emote him in the same way it did me. And once we got through the process we realised it was harder and harder to find parts and the simplest way to find parts for the car was for me to go and buy a complete other car which was a wreck as a donor car that we could take good bits off. And that was finding a solution to a problem, an easy way to find a solution to the problem. And during that process Edd didn't agree. He thought that was maybe a stupid idea, we should have just bought the parts. But ultimately we went and bought the parts, we stripped the car off and we sold all the old bits on and made some money back. That's what makes the show. If we agreed all the time I think the show would be quite boring, so it's good that we disagree every now and then. Edd China: But it's also good that we get to learn stuff in the same way as the audience do. Obviously, by the time we'd actually finished the car, you know, the engineering was very practical, it was quite simple. But obviously it was quite a feisty little car when it was finished. So we did little tests at the end. You actually get to see why the car is quite fun and why people were very, very into them. I think it's also interesting that even though we might not agree at the beginning we always come to a common appreciation at the end, I think. Which car among those that you have ever bought was in the worst condition? Can you remember? Edd China: I think probably, like even just on this new series, the AMCI car that we got, it looked pretty much okay when Mike found it. It was a lot of fun. And I think it's easy, often, to overlook some of the practical things when a car is lots of fun to drive and to play around with. But it was only when I started actually taking it apart and looking a bit closer at what was going on that we realised it was actually in a very, very bad state. And then we had to strip it right down literally to the bare metal to find the full extent of the damage and then start building it back up again. But at least we then knew that the car was in a sound state by the time we'd finished. So I think that was quite a bad one. Is there anything else you can think of, Mike? Mike Brewer: No. I think we've had quite a few over the years where we've got into cars and we've found out that they're quite rotten. The Beach Buggy is one of them. That was quite a bad car when we got into it, so we realised we had to change quite a bit in that car. The MG, that was quite bad when we did that years and years ago. But, yes, I think more recently the AMCI car was a bit of a surprise. It was good on the outside but underneath, because it's a car that lives in water as well, it was pretty much rusty so we replaced quite a bit of it. But that's what makes the show. In this new season I think we're going to see a MazdaRX‑7 modification, right? What kind of plans do you have for this car? Mike Brewer: The MazdaRX-7 is one of those iconic cars that has become almost a myth nowadays because of the drift scene and the drift culture. So we wanted to find one of these cars that was in a really good ordinary average condition and do the modifications on it ourselves. And that's very hard to do because most of these cars have been got at by people in the past. They've put big paint jobs on them. They've changed the wheels. They've changed the body kit. They've changed them to make them look like the cars from The Fast and the Furious. But after a bit of searching I found the right car which was a very ordinary, very standard RX-7 with a slight modification on the front. And then it's over to Edd. You know, we've got a really good car with a very clever Wankel engine which Edd really wanted to work on. But then it's over to Edd to extract more power out of that tiny 1.3 cylinder engine. And that's what he did. He set about changing lots of things. Edd China: I think also with that car we also then, having improved the performance but doing it faithfully because that was obviously also part of the key in keeping its reliability – we then had to start playing around with its visual performance. So had a bit of fun with that and we have come up with quite an interesting result and I think we're getting mixed results from people who look at it initially. But I think it's something that everybody seems to be warming to as a visual feast, shall we call it? Mike Brewer: Wait and see. Edd China: Wait and see. It's kind of funny, it's kind of fun. Mike Brewer: It is. I will tell you that you'll see a process. It's not a new process; you would have seen it before. But you would never have seen this process before. We actually cover the wheels with a snakeskin motif and it's amazing. We do something that's never been – and that may not be to everyone's liking. You know, online, when the show's on, on Twitter, on Facebook – undoubtedly we're going to get 50% of the people saying you ruined it, it's horrible. But 50% of the people are going to say we love it, it's amazing. But that doesn't matter. What we're doing is just showing you that these things are out there and they are possible to do. Has there been an absolute favourite project and an absolute least favourite project, or one that was just so much fun to work on – maybe not the most lucrative but just a lot of fun and a lot of cool stuff that you could do? Mike Brewer: To me, it was most definitely the 1967 Mustang Fastback, just a cool car from the start to finish. The whole programme – me in California buying an iconic American muscle car to getting it back to the UK and seeing Edd's face when I revealed it, you know, that I've gone and bought just one of the best cars you could ever feast your eyes on, it's an amazing car from every angle – all the way through to the restoration which Edd blew the doors off the restoration. He literally went to another level of restoration – I think it was a game-changer for Wheeler Dealers– to the most amazing test drive ever where we got to dress Edd up as a policeman and for him to chase me around an abandoned town whilst I pretended to be the baddie and drive away in the Mustang. And it was just the most fun I can ever have making this programme. I loved it from the start to finish. Edd China: I think for me probably the worst car was the Capri right at the very, very first series – partly because, I guess, in those days we didn't have as many of the tools and equipment and the experience, for that matter. So I think we ended up having to put the wrong year of wing onto the car and that was a nightmare. And it's something that haunts us forever because people keep coming back and saying, oh, yes, we saw what you did. But I think the best thing ever was definitely for me the Lamborghini. That was awesome, particularly the test drive. It's something I'd always wanted to work on anyway. And we tuned the engine and it was just a wonderful car to work on while we were in the studio. But once we'd actually come out of the workshop and got into the test drive – I got to drive, it was on my birthday so I was biased – but we were driving around the dolomite mountains in Italy. It was just spectacular – the tune of Mike Munro and Days Like These going on in my ears. It was just an amazing, amazing day. We had a lot of fun in those mountains, oh, yes, so that would definitely be the one for me. 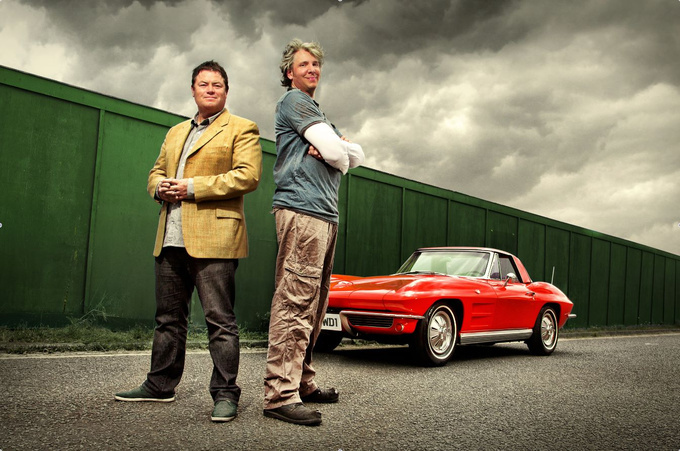 The new series of the Wheeler dealers starts on 21.03.2014. Manufacturers who want the best for their top models have only one obvious choice when it comes to lighting these days: LED’s. Here are the reasons.